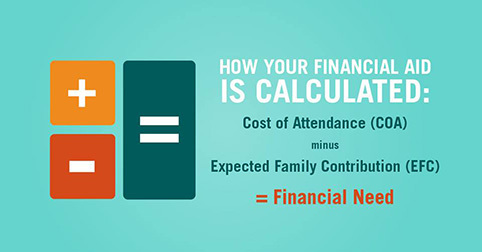 The Office of Student Financial Assistance determines your financial aid eligibility by subtracting your Expected Family Contribution (EFC) from your Cost of Attendance (COA). The information you report on your FAFSA is used in a formula established by the U.S. Congress, which determines your EFC. The COA that your financial aid package is based upon reflects standard and reasonable costs. Your COA attendance includes average tuition and fees based on your residency (i.e., West Virginia, Metro*, and Non-resident), enrollment status, and program of study. Below are estimated 2018-19 academic year COA attendance budgets for students by academic program. 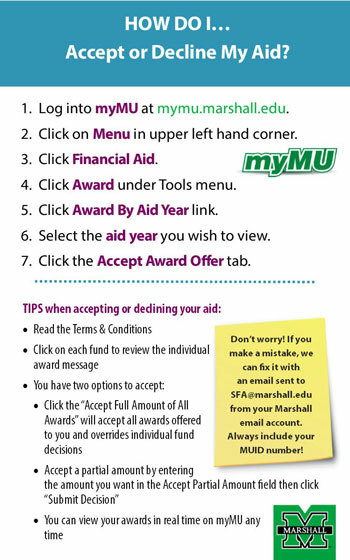 For actual tuition, fee, residence halls, and meal plan charges, please visit the Bursar website at www.marshall.edu/bursar. *Metro tuition/fees apply to students who reside in Gallia, Jackson, Lawrence, Meigs, Pike or Scioto Counties in Ohio and Boyd, Carter, Elliott, Floyd, Greenup, Johnson, Lawrence, Martin, and Pike Counties in Kentucky. Housing & food charges vary based upon residence hall assignment and meal plan. When you live on campus, you will be billed directly for your room and your meal plan. Marshall University policy requires all full-time freshmen and sophomores to live on campus. You may only request an exemption from this policy if your parent/legal guardian(s) live within 50 miles of campus by completing a Housing Release Request form. 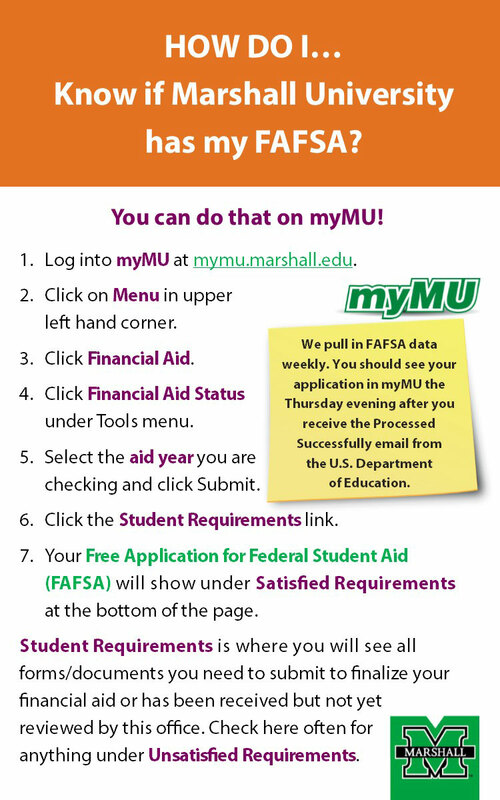 You may obtain the Housing Release Request form by visiting http://www.marshall.edu/housing/resources-and-services/forms/. The COA budget component for housing and meals for students who live with parents or reside in off-campus housing vary according to your personal circumstances. Marshall University does not charge you for these amounts, but they are part of your Financial Aid COA budget to determine your financial aid eligibility. Your COA also includes allowances for books and supplies. Books and supplies costs vary based upon your particular program of study. 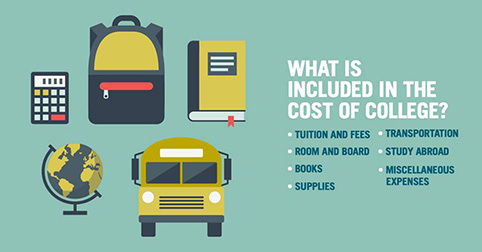 Transportation and Miscellaneous expenses are also variable costs and can consume a large part of your educational expenses if you don’t budget carefully.The Office of Student Financial Assistance estimates certain values for these variable cost components to determine your full COA. 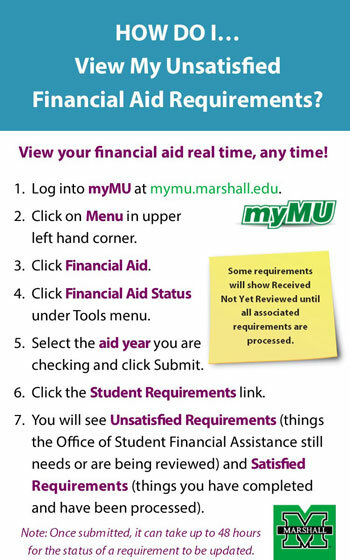 You may view your financial aid COA by accessing your Cost of Attendance via the Financial Aid portal within myMU, but you must review your student account to see your actual Marshall University charges. Below are 2018-19 Estimated Average Cost of Attendance Budgets used by the Office of Student Financial Assistance to determine students’ eligibility for student financial.